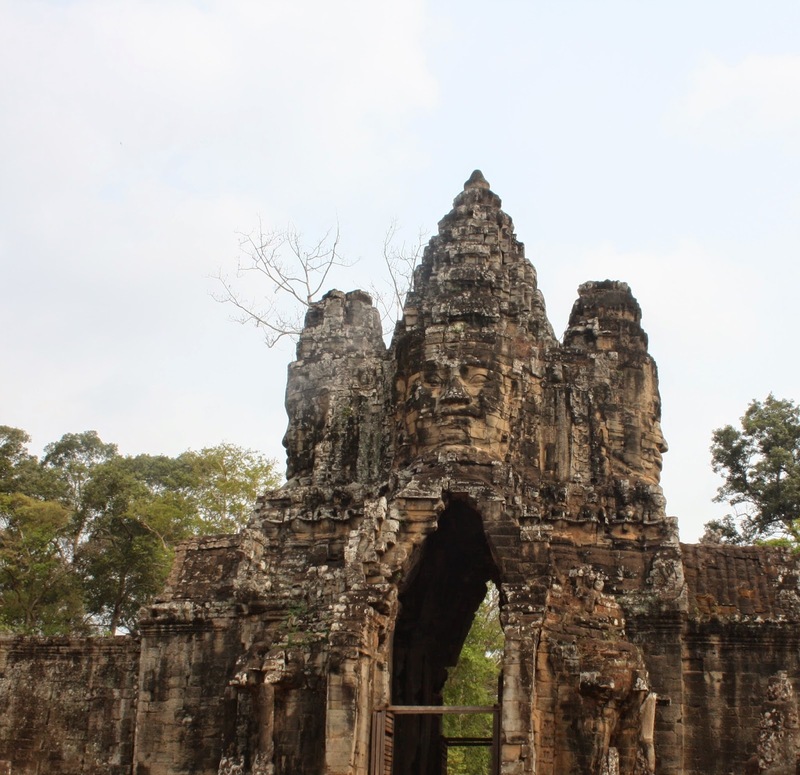 The ancient city of Angkor Thom had four gates, one in the center of each of the surrounding walls. Today, though the city itself is largely gone, these stone walls and their gates survive and offer an awe-inspiring sight to the visitor. 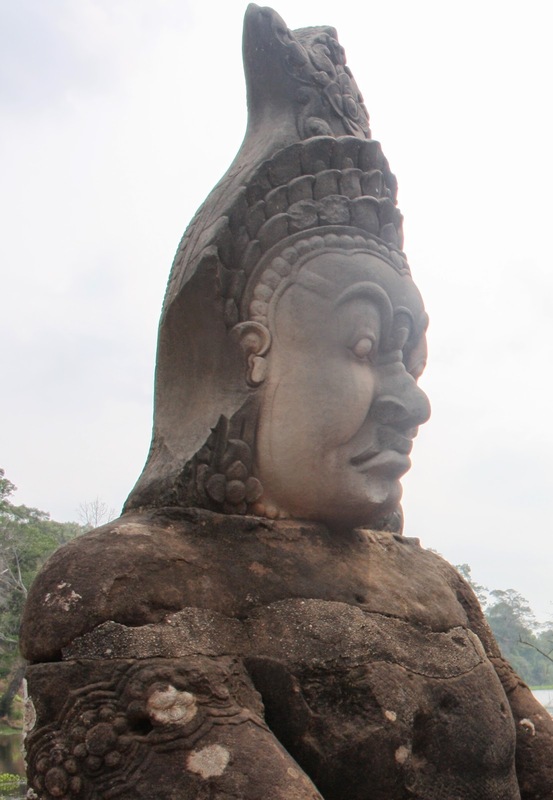 Four gigantic faces are mounted on top of a wide gateway guarded by elephants. A visitor approaching any of the gates first crosses a wide moat. 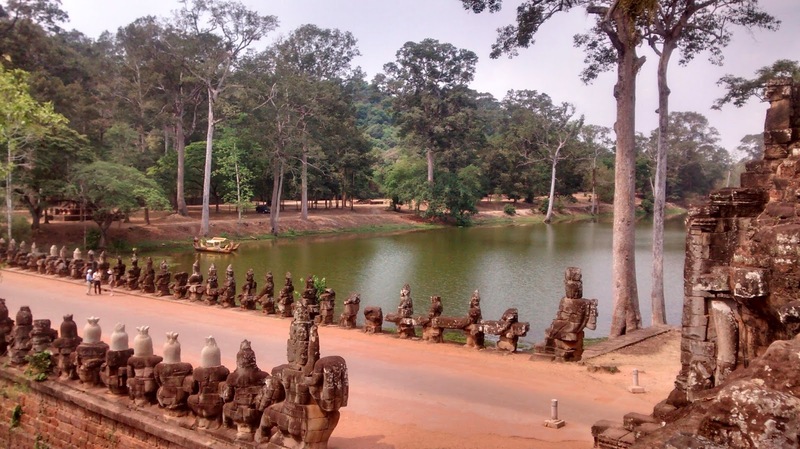 The causeway leading across the moat is lined by a row of Asuras (demons) on one side and a row of Devas (Gods) on the other side. Both the Devas and the Asuras hold Nagas (snakes), symbolizing the churning of the ancient Sea of Milk to get Amrutha, the Nectar of the Gods. The photos below are from South Gate, though Victory Gate (which is on the eastern side) is almost the same. One of the Asuras - note his expression!